Dubai has maintained its strong performance through 2017 and is on track for another record year in terms of tourist volumes, according to the latest data released by Dubai’s Department of Tourism and Commerce Marketing (Dubai Tourism). A total of 11.58 million international overnight visitors arrived in Dubai during the first nine months of 2017, reflecting a 7.5 per cent increase over the same period last year, underlining the strength of the emirate’s tourism industry as well as the growing appeal of Dubai as a global tourism destination of choice. In a city blessed with year-round sunshine and blue skies and where taking a dip is a favourite pastime, it’s good to know that you’re never far from a refreshing swimming pool. 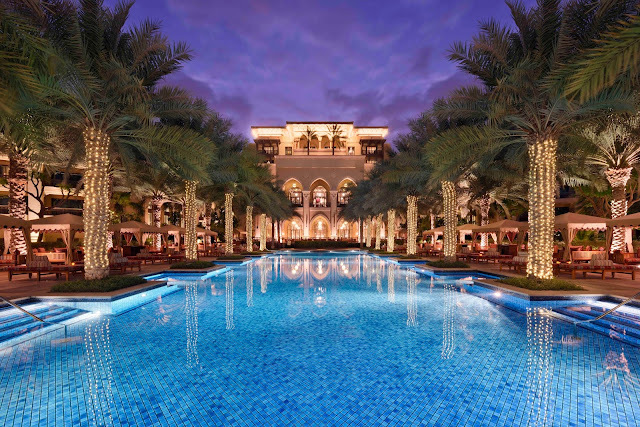 From expansive beach club lagoons to lofty rooftop pools, from downtown infinity pools overlooked by skyscrapers to private plunge pools surrounded by desert dunes, there’s no shortage of options. Read on for our pick of Dubai pools with the most breath-taking views. 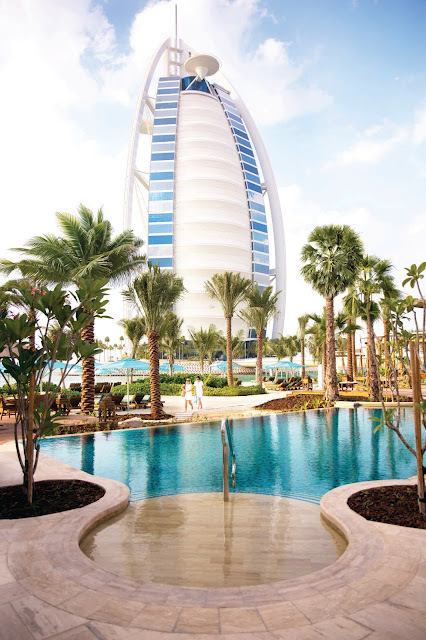 With access to an exclusive white sand beach, a menu inspired by the Spice Route and a view of the majestic Burj Al Arab, this gorgeous spot at Jumeirah Al Naseem is perfect for a lazy day by the pool with friends, family or just you and a book. Head up to the roof of this five-star boutique hotel in City Walk to enjoy a dip in its striking infinity pool or catch some rays on a sun lounger. Stay to enjoy the sunset views and a drink from poolside venue Look Up. 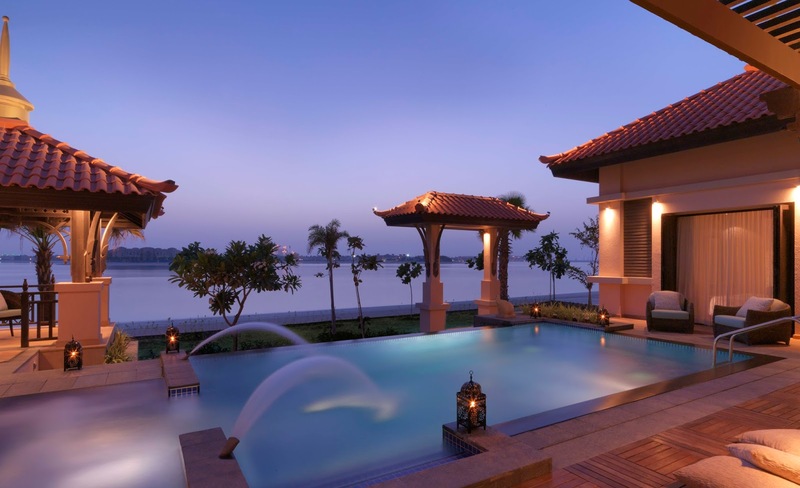 Escape to this tranquil beachside retreat on Palm Jumeirah and swim in one of three turquoise lagoons or in the resort’s 50-metre infinity pool overlooking the sparkling Arabian Gulf. Cool off in one of temperature-controlled swimming pools at this unique oasis in the heart of the desert, and relax as you take in the far- reaching views of the surrounding dunes and landscaped gardens. This striking pool in the centre of Downtown Dubai boasts stunning views of the Burj Khalifa and Dubai Fountains. 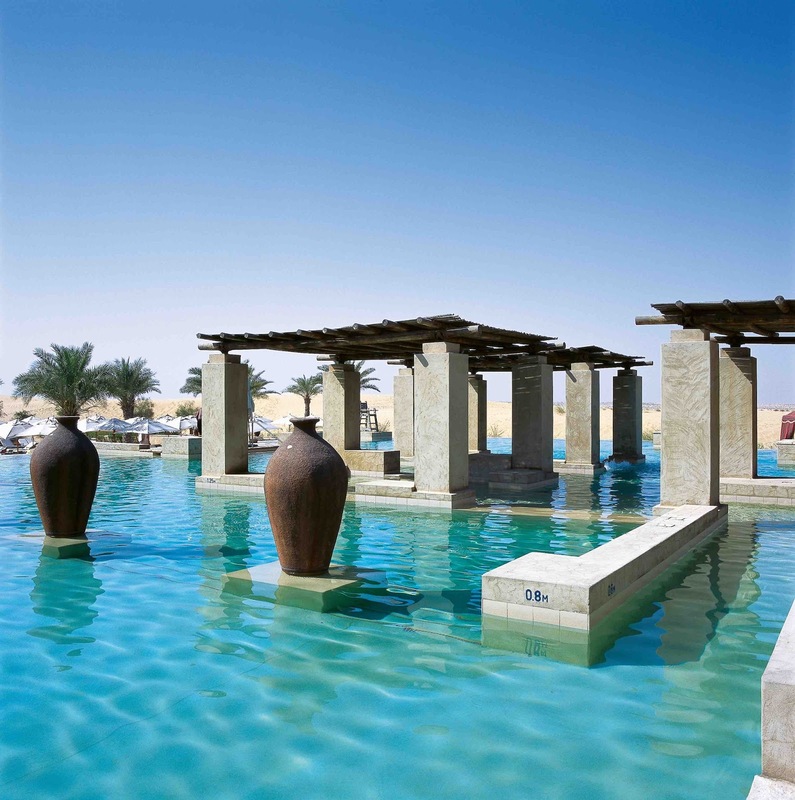 Dive right in or relax in comfort in one of Buhayra Lounge’s arabesque tents on the edge of the water.